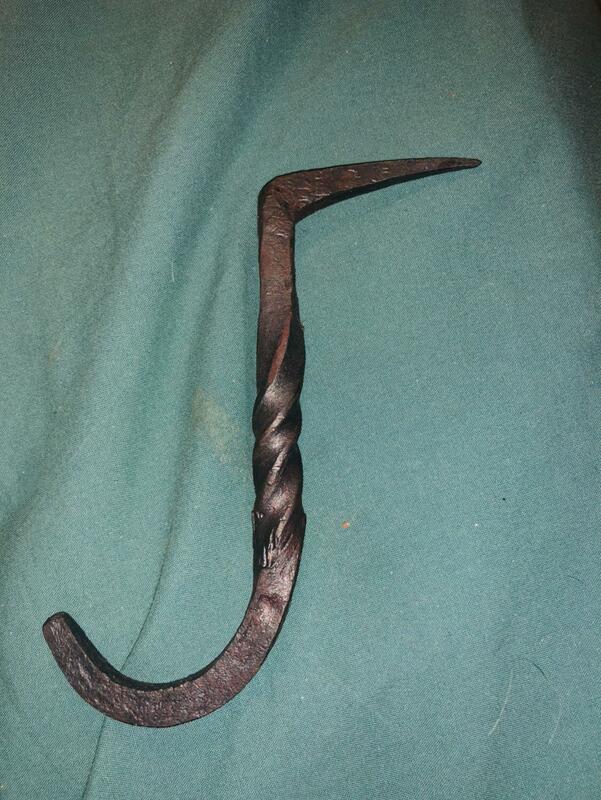 I made my first hook. It was kind of hard after I cut it off the main stock because I don’t have tongs that fit 3/8. So I used plier. Also used two pairs of pliers for the twist. Kind of marred it up a little bit. Vise grips well grip and do not slip. Cut the stock 2x or double length and make the hard part on each end. Double length is enough to hand hold. Cut it in half and then form the other end of the project. It can be a bit close but could be hand held. nice. heres an "addon". on the nail, the part that goes in the wall, take a cold chisel and on the edges, drive up little barbs called "rags". Chisel twards the pointy end. do a few on each edge. Then when you drive your hook into wood, these rags will help keep it tight. I don’t think I’ve seen anyone do that. Good idea if you’re putting a lot of weight on it. I wasn’t able to do anything today but hopefully it’s not raining tomorrow and I can try and make a few more. 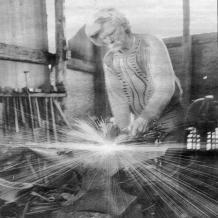 They use the barbs or rags on many items, including ring shank nails, and wedges for hammer handles. I've seen it in one of my old smithing books; generally for things like pintals or hooks to be driven into large timbers. For 2x4's a predrilled hole is often suggested,; undersized of course. I did that with all my crafts fair demo thingies that went into wood. And told the same story. It works, by the way. Nice job on the first hook! Taking on a twist was bold for a first go at it. You may want to heat the hook end up again, straighten it out, and draw it out a bit more so the hook is bigger and scrolls upward. If you have a fine needle tip you can scroll the very end of the hook to form a little scroll to add a decorative touch. Google hooks to see examples. Be proud of the fact that there aren't many people walking down the streets that can do what you did. Pound that baby into something and start using it. I find it satisfying to make useful things around the shop and house. The tongs I have aren’t small enough to handle the stock I have, so once I cut this off after doing the nail part I had to use pliers to forge with. It was too big of a pain trying to taper so I just did a little and left it. I’m gonna try to modify a pair of v bit tongs I have though to fit smaller stuff. I need to welds some reins on them first though. Lol Got em for a few bucks from a bucket. 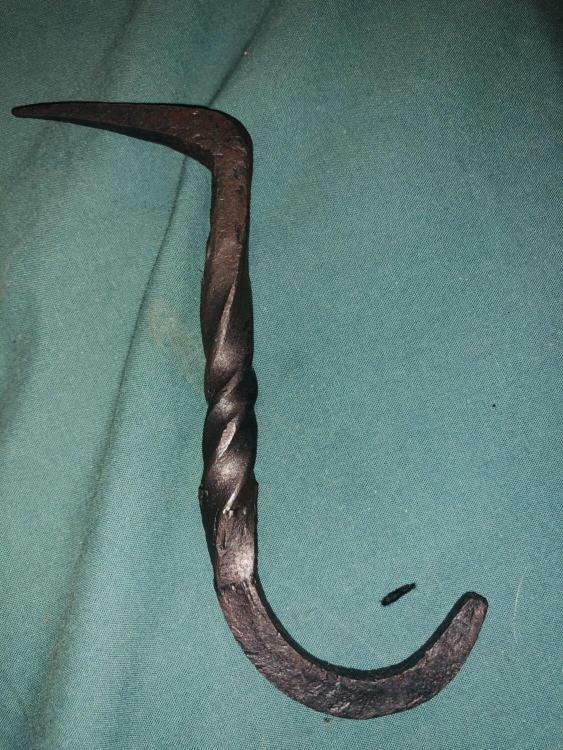 An ol blacksmiths trick, Start with a longer piece of stock . (About 18in) Measure and mark the stock at the bends and twist area. Complete one end than all you have to finish is the hook end . Cut the stock to the desired length at your mark than hold with vise grips to finish. I hope this helps you along the way. Jim's right. I'm making 4 hooks for a coat rack and have a long 4 foot piece of stock that I've marked out and will be hanging onto the stock and drawing it out. It's way easier, you just can't hold the last little piece because it will be too hot usually. Say you have to square a piece of round stock and draw out both ends, it's easier with a long piece of stock. One way to finesse it is to cut more than you need for the project so there will be extra left over to hold onto.. 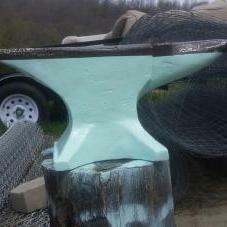 I start my students out with a 24" piece of 1/4" sq stock to make an S hook and two nails from and then can use for other projects. When they get *short* then I use it for demonstrating the projects for the next class. What Thomas said is good advice. Especially when you are starting out. However, keep in mind the direction your improvement will take you. when you make a hook that you like, pay attention to how much material you need. Then when you start with a longer piece, make all your center punch marks where one ends and the other begins. 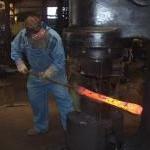 If you keep this in your mind, this will start you down that road of forging to dimension and starting the process of being able to forge matching pieces. Oh, and when you are comfortable with the above, you are ready to add more irons in your fire. Then you are getting close to a fine product that you can make some money with. Yeah, I kept it on the long stock but I was finding it hard to draw out the hook part since it wasn’t an end piece so I thought it might be easier if I just cut it off. Turns out my tongs were too big so I just used pliers and quickly gave up. I haven’t been to the forge in a few days because of rain but I’m hoping today is clear. Also trying to hit the flea market Sunday. Appreciate all the advice and kind words as well. Anvil makes a good point about keeping track of how you make things. I have a bench book that I write down this stuff in. You write the stock size, length you cut, and the method you used to make it. If you do this, you don't have to struggle to remember when you have to make it again. I'll also watch videos on YouTube from excellent blacksmiths and write down the methods and stock sizes they use & sketch the final product. This is great because you can stop the video, take notes, then start it again. This takes some guess work out of things. The books a good idea. I actually have a book in the garage I was using to sketch out and do math on materials I’ll need for my own shop when I come to trying to make one. So I’ll have to start doing that. This is why I love this site, what started as me showing my hook turns into me learning a lot for the next one. You guys are awesome, I’m glad I stumbled upon IFI almost 2 years ago when smithing was all I could think about. Ive definitely learned more here from countless nights browsing old forums from any of the books I’ve bought. Books still have some golden nuggets I’d never think to research though. Oh the time we live in. Another way is to make a layout stick from the parent stock. Once you know how to make it, try this. Say we are making a simple tapered drawer pull with a boss on each end that the screws go thru. Start with a piece of parent stock the correct length. This can be on a longer bar. Then mark the center. Then mark the transitions where the bosses are. Now forge half of the pull, not both sides, and scroll it to the proper curve and make sure the boss too is done. Basically a totally finished hslf. Then drill a hole in the other end and hang it on the wall with rhe rest of your layout sticks. You now have a physical piece with all starting dimensions, finished forging lengths, and proper shapes. It wont wear out, burn up, get eaten by the dog. Good to go tomorrow or 10 years down the road. That’s something I’ve noticed youtubers having. Basically every step in progression done on different pieces of metal.